All this makes Russia the land of the preventable accident, the tragic outcome and the bet gone bad, in the circus as elsewhere. And “accidents” there have been. 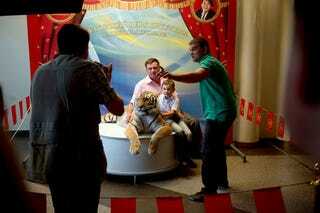 Last year a tiger with a traveling circus bit the head of a 2-year-old boy during a photo session in the Far East city of Blagoveshchensk; the boy survived, though the bite reportedly fractured his skull.